It is a good tool that helps you to trace your users who visit your website. You can check what they have been up to and what they have visited. You can also respond to them quickly and give them and fulfil their requirement. It has been developed like in 2000 and did not develop or update since then. Thus no improvements have been found in it. It is a good software with incredible features. You must go for atrial before making a decision as its membership is available yearly only. Its installation is easy. Setup is also uncomplex. The features are easy to understand thus it is very user-friendly. Also as the process is fast and helps you in growing your business by fulfilling your customer requirements thus it is easy to use too. It is a good platform that helps you in making records, trace your users and fulfilling their desires. Helps you in fulfilling customer wishes thus keeping them contented and happy. Thus a good tool for use. "What I Can Say About LeadLander"
really does not fill in all the breach, but the best feature of Leadlander is being able to trace individual users who came to your website and see what pages they have been to. The lead scoring characteristic is somewhat helpful if you have no other option of tracing this in your CRM. If that user is familiar in your database as related to a specific email, then it will trace them over time to see what their scheme is. You cannot do any experienced reporting in this respect though, just lists of page visit and dates, and also a form of compliance if you have them enable to work with Leadlander. It feels like it was developed in 2000 and then was never updated. From an inspecting point of view, First, Reporting is pretty basic, and it is difficult to associate the data they collect with your CRM other than manually or possibly with CloudHQ. you could get a suitable list of companies who have visited your site, and that list you have is more accurate than Hubspot's software/tool, but less specific than Lead Forensics. Lead Forensics refines out the user's ISP, so you will only get the actual company you are looking for. And for addition I Hate to say this, but Leadlander's UI is so outdated. Test it first before judging. You must know what you are looking for from your Desired tool. the subscription, you must do the trial first before deciding. If you are looking for something cheaper, look for another options in google. ""A cost successful site guest following instrument""
The best part of Leadlander is having the capacity to follow singular clients who go to your site and see what pages they have been to. On the off chance that that client is referred to in your database as identified with a particular email, at that point it will follow them after some time to perceive what their movement is. You can't do any complex revealing in this appreciation however, just arrangements of page visits and dates, and structure entries on the off chance that you have them empowered to work with Leadlander. The lead scoring viewpoint is to some degree helpful in the event that you have no other method for following this in your CRM, yet truly does not fill in every one of the holes. I hate the inquiry work. You can look for an organization in which you got an email appearing flooding, however it won't appear inside the hunt. You have to comprehend what you are searching for from your objectives. They are a yearly membership, so it is best to do the preliminary and check whether the interface, data, revealing, and joining capacities are what you're searching for. In the event that you are searching for something less expensive, Hubspot deals genius offers a marginally less strong prospecting apparatus with an extraordinary deals outreach robotization set of instruments that merits the negligible month to month cost. Or on the other hand you can take a gander at Lead Forensics for an increasingly current and vigorous arrangement of prospecting apparatuses, however they are presumably double the yearly expense of LL. Try not to get this item - or any lead prospecting item - on the off chance that you don't expect to utilize the highlights. It is a squandered venture if all you need to do is take a gander at the organization names going to your site. Similarly as with any device, except if you make a move and have strong, noteworthy effort crusades that make utilization of it, you won't perceive any important return. The business issues that are being settled is to give a more focused on way to deal with records that are keen on your items and solutions.The business issue we have is related with lead scoring and connecting conduct on the site with people to assist us with more focused on and important effort. I like gaining insight into what accounts are looking at on my website. I dislike the search function. You can search for a company in which you received an email showing them surging, but it won't show up within the search. LeadLander needs to be taken with a grain of salt. Just because someone is looking at your website, does not mean they want to buy your products and solutions. It also only gives the location in which they are surging. The business problems that are being solved is to provide a more targeted approach to accounts that are interested in your products and solutions. This software is very helpful to arrange your data and to analyze them in a systematic way to get the output. The software will be little slow when loading the data and conversion from one form to other needs improvements. The product is very affordable for a mid to large organizations. The cost is easily justified by the value of being able to have more informed conversations with prospects. This information is very useful for sales people who are already engaged with prospects. Knowing that a company is looking at certain website pages / products allows the sales person to have a much more relevant, informed conversation. I like that I can see who is on our website from their IP address and that it sometimes has names, emails, phone numbers. It's such a confusing UI, it's really ugly, and I think that it should automatically filter out results for the IP addresses that are just coming from the telecom companies, since half of the time it looks like telecom companies are looking at our site a lot but it's just their customers. I also don't really understand the point of LeadLander (besides for the IP lookup) if you have Marketo or any type of tech that tells you when someone fills out a form on your website. It's just not that useful to me. Make sure you understand what it does and what it can't do, and that some of the results are going to be very misleading. Finding leads. I haven't gotten that much benefit from it. "Out of date UI, "
The best aspect of Leadlander is being able to track individual users who come to your site and see what pages they have been to. If that user is known in your database as related to a specific email, then it will track them over time to see what their activity is. You cannot do any sophisticated reporting in this respect though, just lists of page visits and dates, and form submissions if you have them enabled to work with Leadlander. The lead scoring aspect is somewhat useful if you have no other way of tracking this in your CRM, but really does not fill in all the gaps. A lot of things. Leadlander's UI is far out of date. It feels like it was developed in 2000 and then was never updated. Reporting is pretty basic, and it is difficult to associate the data they collect with your CRM other than manually or possibly with Zapier. From a prospecting point of view, you get a decent list of companies who have visited your site, and that list is more accurate than Hubspot's prospecting tool, but less accurate than Lead Forensics. Lead Forensics filters out the user's ISP, so you will only get the actual company you are looking for, instead of 20 visits from Rogers that is probably someone's ISP instead of their company - but you definitely pay for it with Lead Forensics. You need to understand what you are looking for from your goals. They are a yearly subscription, so it is best to do the trial and see if the interface, information, reporting, and integration capabilities are what you're looking for. If you are looking for something cheaper, Hubspot sales pro offers a slightly less robust prospecting tool with a great sales outreach automation set of tools that is worth the minimal monthly cost. Or you can look at Lead Forensics for a more modern and robust set of prospecting tools, though they are probably twice the annual cost of LL. Do not get this product - or any lead prospecting product - if you do not intend to use the features. It is a wasted investment if all you want to do is look at the company names coming to your site. As with any tool, unless you take action and have solid, actionable outreach campaigns that make use of it, you won't see any valuable return. I work for a B2B company, so knowing the companies of our visitors is important in directing our marketing and outreach campaigns to the right locations and industries. The business problem we have is associated with lead scoring and associating behaviour on the website with individuals to help us with more targeted and relevant outreach. "A price effective website visitor tracking tool"
At my firm, we are using LeadLander to track visitors for informational purposes to reference in relation to a deal or marketing efforts. We also use it for recruiting purposes to see who is visiting out website during hiring season. It provides consistent findings which from time to time depending on the visitor has added some value to our staff. "Simple to use and sales reps like it"
When we introduce new apps or tools to the inside sales team, the biggest challenge by far is user adoption. Leadlander is simple to use. We've tried to bring on similar solutions that on paper looked like better, more comprehensive solutions to solve business challenges and enable sales. But they were never adopted. The learning curve was too steep. It really just provides you with the resolved IP address information. And for tools like this, that IP data is 50%-80% accurate (you can Google this). When you click into a visiting company, there's a basic LinkedIn lookup that takes you to a Google search. No real integration with other third party data that might make finding contacts easier. Other tools do a better job of linking activity to accounts in Salesforce for account based marketing and sales. Compared to other tools, seems like they're not pushing enhancements. Shop around - Leadlander is simple, but there are more complete solutions out there depending on your needs. May be a good fit if you have minimal requirements. 97% percent of our web site visitors are anonymous. This helps the sales team identify visiting companies in their territory. With this information, the reps can then look for contacts in a geo. It gives them insight that we otherwise wouldn't have. "Great way to see who's visiting your site"
Leadlander has a great ability to track back the ISP's of any company that comes to your website. This gives you sales teams great places to start. 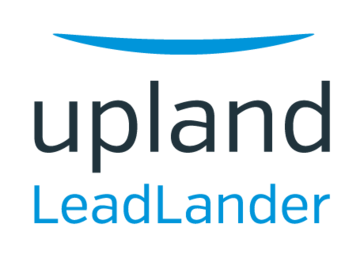 Leadlander was recently purchased by Hyland Software, who offers a competitive solution. Even though they say their not sharing data, I sometimes feel skeptical about it. I would definitely recommend this solution for any organization that is doing a lot of SEO and needing to see who is visiting their website. This is a great way to see how your SEO is driving companies to your site. What pages they are visiting. Good way to generate leads for your sales team. "Helpful as long as your territory fits into the box"
You can see the pages that were searched, and you can have this sync up with your CRM (Salesforce) for easy account based searching. I cannot dig into an area smaller than a state. So...I get much more useless information that I want. Too much noise and not enough action! they just switched me over to a new interface, so we'll see if its any better. check back in 4 months. I can see which prospective customers are "checking me out". "Good tool for lead generation/nurturing"
Leadlander is a great tool to help you understand who has visited your site, what pages they visited, and how often they visit. Most times this information is specific to a company and not a specific contact, but at least it tells you who's interested in your offerings. Because Leadlander builds its information off of IP addresses it can't tell you specifically who was on your site. I realize this is not a Leadlander issue but a global issue. However if it could tell you specifically who was on your site that would be amazing! Definitely a great tool to have if your marketing budget allows for it. Lead generation and lead nurturing. The user layout is very easy to understand and provides very detailed insight as to whom is viewing your website. My favorite feature is how I can add my targeted companies to a watch list, so as soon as they view our webpage, I receive an instant email notification letting me know when and what pages. Additionally, I like how it shows what search engine is used to search along with what key words were used to find site. Highly Recommended. I have no features that I dislike at this time. I highly endorse this product as it provides great value to insides sales as well as digital marketing. We are realizing how effectively our website is gaining attraction, based on a SEO perspective. Additionally, it allows us to figure out how to make adjustments to our Webpage to minimize the amount of clicks for prospects to view/find the most relevant content based on their needs. 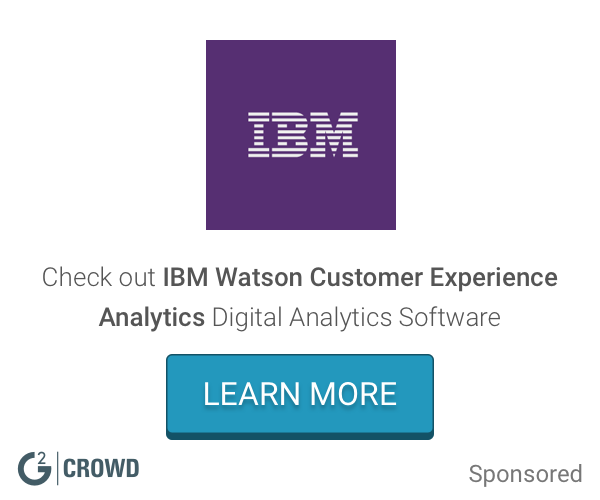 "Great Product but Most Marketing Automation covers what they can do." LeadLander provides very detailed information about both you anonymous and known visitors. The dashboards in which the data is presented is also very clean. There needs to be more ways to slice and dice the data. Custom reports are very limited. I highly recommend using the built in Alerts. My sales team had alerts based on certain pages being visited and number of visits. We used this tool to finally get some visibility into our site visitors. This insight was actionable for our sales team. "Great tool with an even better price." I really like the ease of use for this tool. It pulls in data that your conventional big name company's does not have access to. It helped our company receive more accurate SEM and SEO numbers. Not much. The tool is young and evolving. If your company needs a cost effective tool, for a really great price, LeadLander is the way to go! It allowed us to link our GoogleAd word camp's with our MAP's software (Marketo). "Works ok but missed some companies"
It was straight forward and simple to use. It was also easy to set up custom reports to be delivered to reps on a periodic basis. The data was largely not actionable when it was a company (understandable), but it was also often just coming from some ISP. We also were missing several companies per day that other tools were able to pick up. Trying to target potential leads for our sales force. I like being able to see who is actively on my site. I've used a lot of software that identifies who is coming, but you get a lot of generic ISP names instead of the actual company name. This helps our marketing and sales teams track lead touches and know who to follow-up with. I wish there were more integrations with CRM systems like Salesforce. Marketing and Sales are able to track prospects and lead touches. It's helped us be more intelligent with our outreach and follow-up efforts. I used Leadlander in conjunction with Mailchimp to help me get a 360 view of my marketing emails. Who was clicking through and, ultimately, where they were spending time on my site. I wish there was a back end integration with Mailchimp. Marketing - able to better target those that click on my marketing emails. It can be helpful for tracking companies that might have an interest in something your company offers. Doesn't really give you much more information than company name. Good if you want to allow low-level staff to track where online interest lies in your company. Finding interested companies in your territory. Всё нравиться, компания движется в правильном направлении !! Всё и и так отлично, компания супер, посоветую всем сотрудникам нашей фирмы !!! "Not the prettiest tool, but good data"
The tool is simple and clear in its purpose. The data is good and the lead scoring options are helpful. Not being able to connect with Dynamics CRM is a bummer. Not everyone uses salesforce. It finds the people who are interested in a website and it identified companies to nurture. * We monitor all LeadLander reviews to prevent fraudulent reviews and keep review quality high. We do not post reviews by company employees or direct competitors. Validated reviews require the user to submit a screenshot of the product containing their user ID, in order to verify a user is an actual user of the product. Hi there! Are you looking to implement a solution like LeadLander?